President Muhammadu Buhari has said it will require more than one election cycle to fix Nigeria and deliver the promised change. According to him, the change promised by his government was not an event but a process and it would, therefore, require time to deliver. He urged Nigerians to re-elect him for another term of four years, promising that the fruits of the efforts he had made in fixing the country in the last three and a half years would soon begin to manifest. The lecture titled, “Nation building and institutional development, lessons for Nigeria from the Island Club at 75,” was delivered on his behalf by the Minister of Power, Works and Housing, Mr. Babatunde Fashola. 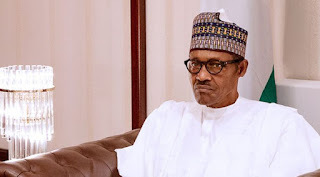 Buhari, who is the grand patron of the club, recalled that unlike now, there was a time when the club held its major events in the open air because it had no hall and could not afford one then. “It took more than one term and one election cycle of the Chairman of Island Club to build this hall just as it will require more than one election cycle to build the nation and deliver change,” the President said. He stressed that the fact that the Island Club had existed for 75 years had put a lie to the claim that there were no institutions in the country. This, he said, was another lesson that the nation had to learn from the club’s 75th anniversary, stressing that the fact that people expected more from the existing institutions did not mean that the institutions did not exist. “The process of change and reform did not happen because Island Club did anything; it happened because people, members of the club, and I believe, non-members, who were men of goodwill, chose to act,” he added. Buhari said he had put the country on the path of food security by banning the importation of rice despite opposition by vested interests, who frustrated earlier government food security policies such as Operation Feed the Nation and the Green Revolution. As a result, he said, his administration had produced millions of rice and wheat farmers, adding that his vision was to industrialise the nation’s food sector. Buhari said under his watch the manufacturing sector had made progress, citing recent statistics by the National Bureau of Statistics. Buhari said his reforms in the power sector had led to improved power supply, which had rubbed off on small-scale businesses. “It is because of these small business owners, hard-working Nigerians that I am offering myself to serve for one more time,” the President said.